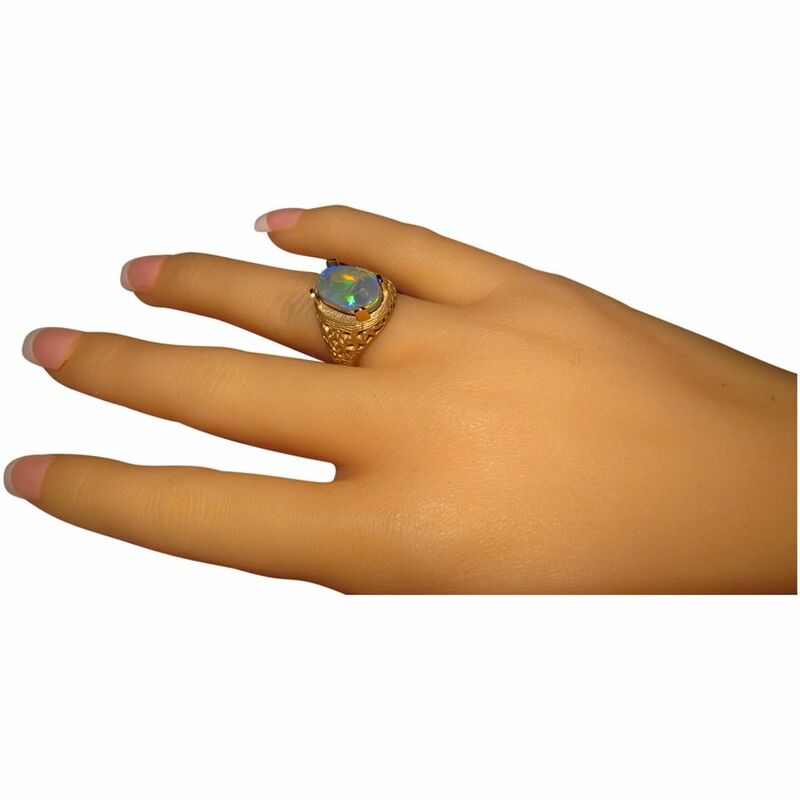 An Opal ring for men with an impressive semi Black Opal set in a detailed 14k Gold ring. 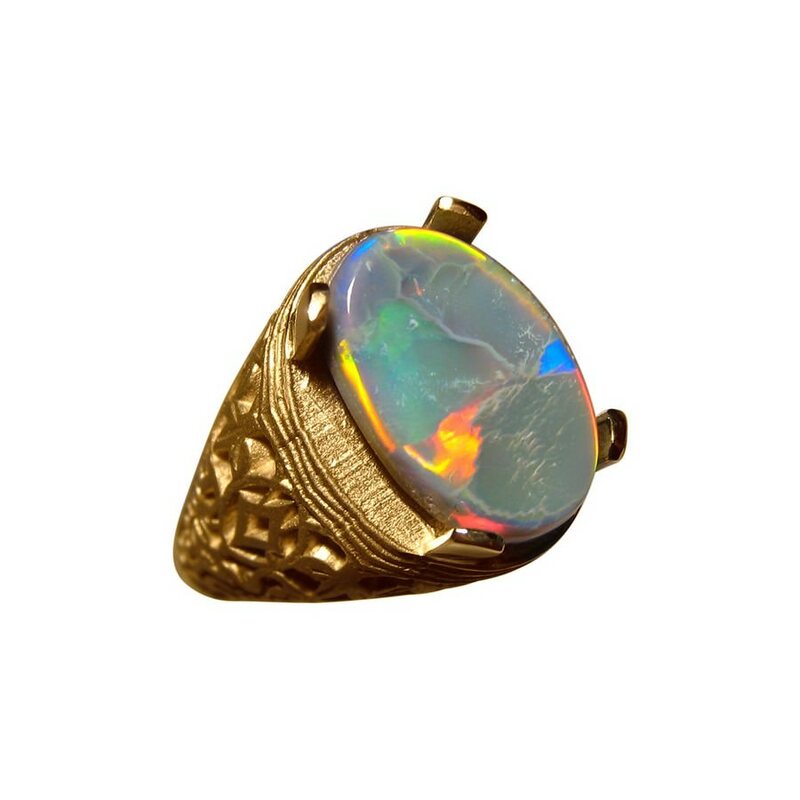 A fabulous mens Opal ring in 14k Gold with a Lightning Ridge semi Black Opal showing great colors in a lively pattern. 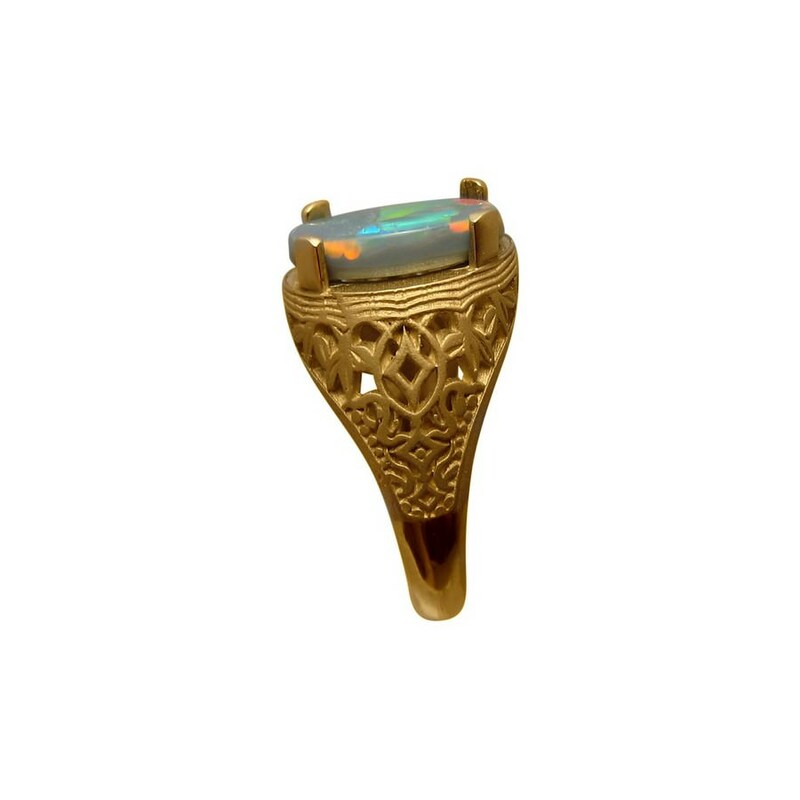 The Opal is cut to an oval weighing almost 3 carats and is prong set in a ring with intricate Gold work on the top of the band which is matte Gold and a high polish on the base of the band. 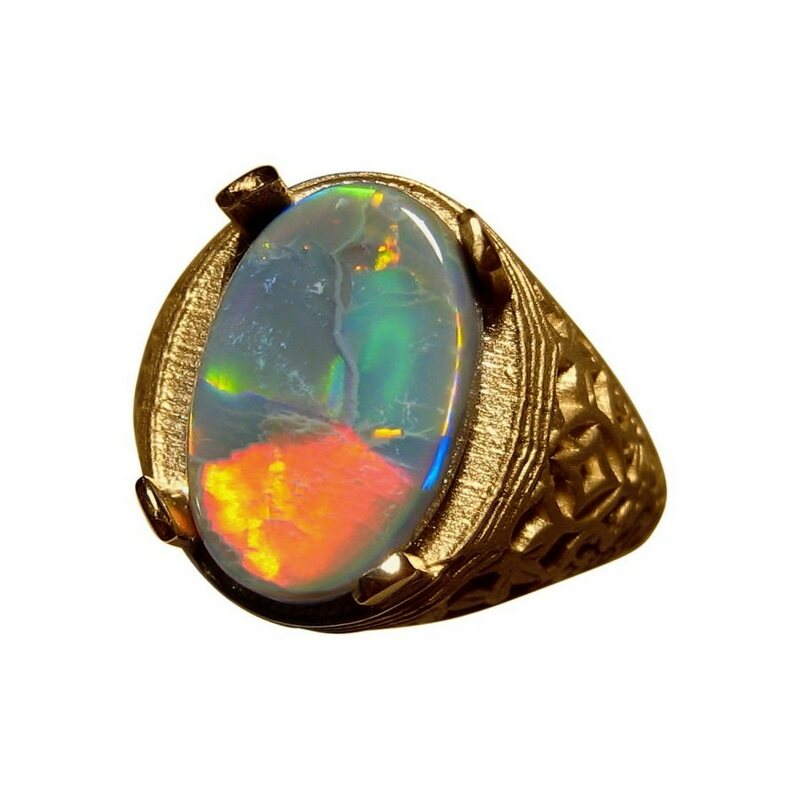 An impressive Opal ring for men that is ready to ship now as detailed below or will take about one week to make in any other ring size or Gold color. 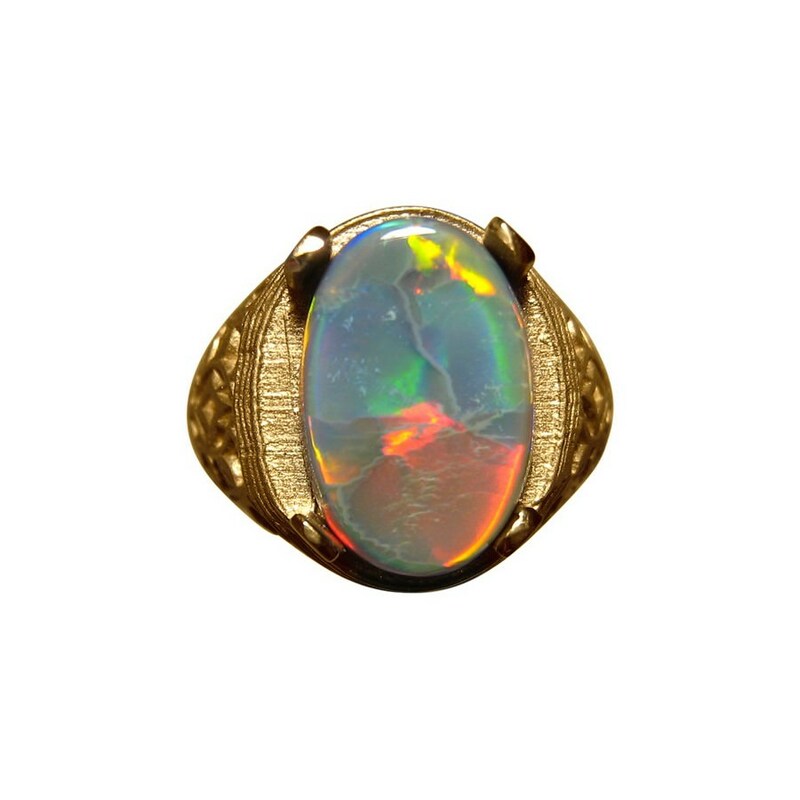 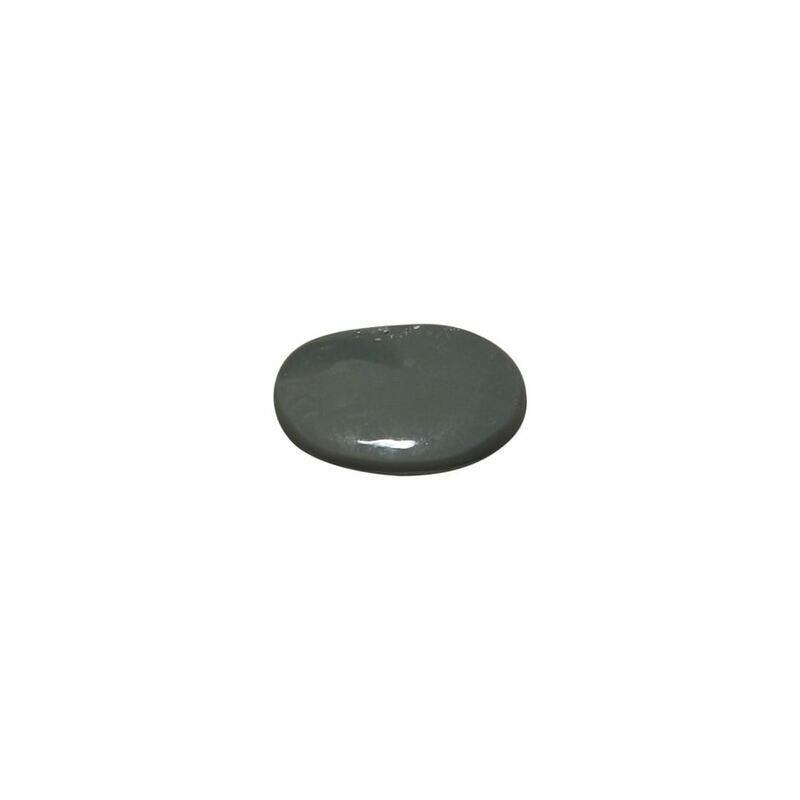 As the Black Opal is not yet secured, the entire ring can be a high polish or a matte finish rather than the mix of two.